Dragons? Werewolves? Mermaids? 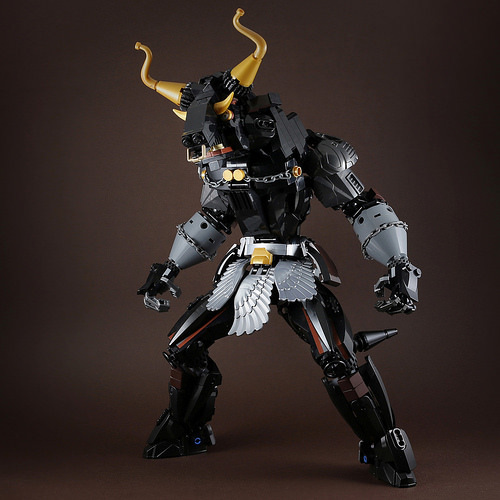 Nope, the best mythological creature is obviously the minotaur (in my opinion, anyway). 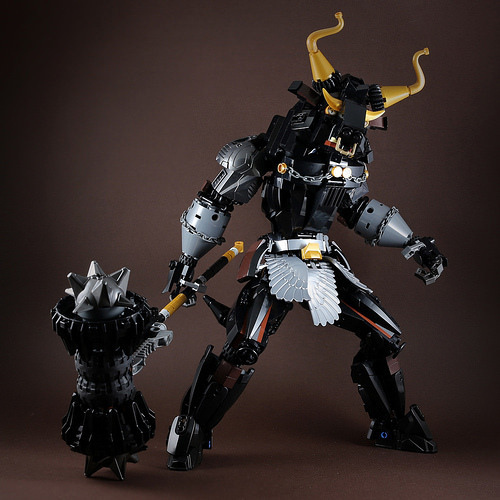 That may be why I had a soft spot for 70793 Skull Basher and why I love this “Cattle Devil” by LEGO 7. Parts use is great here: constraction armour pieces used to represent exactly that, wing pieces for the skirt, the bucket handle for a bottom pair of teeth and a lot more. The bucket handle is the nose ring thingy. Also the eyes are gauges.